One of the major goals of The Oxford School is to make provisions for the holistic growth of our children and equip them with knowledge and skills intrinsic to competing in a global community. In order to assist our students in accomplishing these goals, as well as offer them the opportunity to learn and develop skills, we have introduced a structured eight week After School Enrichment Program. As the name suggests this program will support student enrichment and be based on the students’ interests. Trainers and coaches are invited from professional backgrounds to enhance the After School Program to the highest possible standards. We aim to offer a structured environment that fosters good health and gives children the option of attending an after school program instead of an unsupervised alternative. Being accepted by friends and instructors through games and activities will help the kids accept themselves and broaden their perspective in different academic and sporting areas. The program is open to students from Years 3 to Year 11, depending on the activity selected.The students who take the regular school bus can take the bus after the activities, students who use Own Transport will have to be collected at 3:45pm.Below is the list of clubs with their details for this academic year, we intend to add many more clubs as and when we have more interested students. We believe that Personality is one of the Key factors that a child should develop from his childhood and Public Speaking is one of the most effective skills that help in personality development. This course offered by The Prestigious GAACCS Training Institute, which is affiliated to the Trinity College London. Mad Science is the world’s leading fun science provider that delivers exciting hands – on educational science experience with the programme researched by MAD Science Canada. Kids get to have fun and learning in one go. The MAD Science club is themed around particular areas of science and includes such topics as rocketry, magnets, polymers, and even the science of toys. Children will be encouraged to give science a try and build their very own model rockets, periscopes, and more. It is an established fact that Abacus training promotes Whole-Brain Development. The Concept of thinking in pictures does not help just arithmetic ability but enhances overall academic proficiency. Abacus Math enhances a child’s imaginative power, enabling the mind to hold a photographic memory. This training increases memory power, sharpens the mental processes of a child and creates a better base for numbers and learning Mathematical formulae. 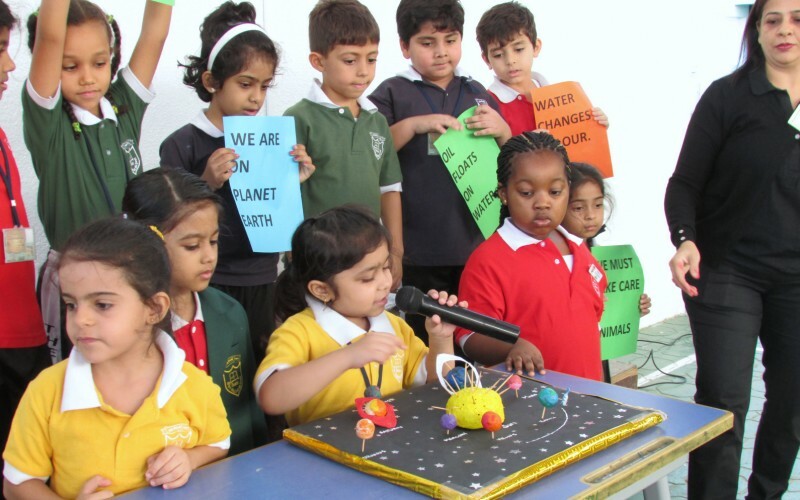 The program is run by the BRAIN BOX INSTITUTE, UAE. The karate Club will be run by the United Karate Centre Group, which was established in 1979 and has been serving the community by offering classes in the traditional Okinawan and Japanese martial arts. The teachers are highly trained and been in this field for decades. They have travelled to places as far as Okinawa (Japan), Germany, USA and Malaysia to train under the guidance of the highest-ranking Grandmasters of the styles they teach, ensuring that the martial arts they pass on to their students remain in its original form; undiluted and uninfluenced by the temptations of the modern world. 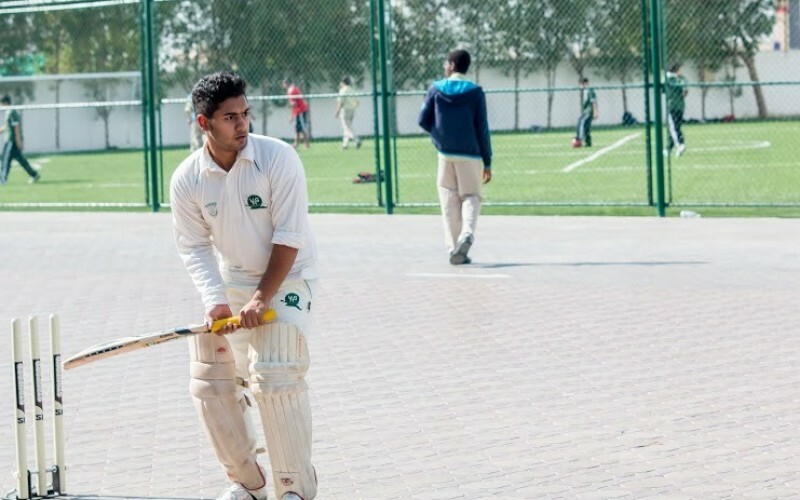 This club focuses on developing the game of cricket amongst the enthusiasts. A battle of wits and metal between competing teams. A session designed to prime the participants for project to build the robot in small groups, with constant oversight from the coaches . There will be mini soccer match with robots build during the sessions and tem them to the limits. This helps to build critical thinking and problem solving skill by challenging yourself to build a working robot. One can develop career in the field of robotics and also get life time guidance and counselling from the academy’s global expert community. We are glad to be collaborating with Ahdaaf Sports Club to introduce an optional professional football coaching at school. The programme will be led by Mark McCarrick – Director of Football, who is a Qualified FA licenced coach, fully CRB checked, first aid and had child protection certificates. Mark has played Professional football at Birmingham City, Lincoln City, Tranmere Rovers and Crewe, he went abroad playing in Hong Kong, Finland, New Zealand and Canada before retiring and becoming an FA qualified coach. His experience includes owning and operating Soccer Schools in Portugal for over 10 years – Coaching boys and girls from all over the world, has given Mark the opportunity to work with children and families from different ethnic backgrounds. Links with several Professional International Football clubs, gives Mark the opportunity to send talented young footballers for football trials. Several of Marks students have been signed by Benfica Football Club – Portugal. A form of expression and we encourage students to develop their talents. Music education programs specifically designed to students of varying ages, while fully exploring the power of music and its positive effects on academic achievement, social, and mental development. It strengthens physical flexibility and feel more balanced and grounded.